I can’t believe that Mother’s Day is almost with us. Personally. I can’t wait to see what wonderful ideas everyone comes up with. 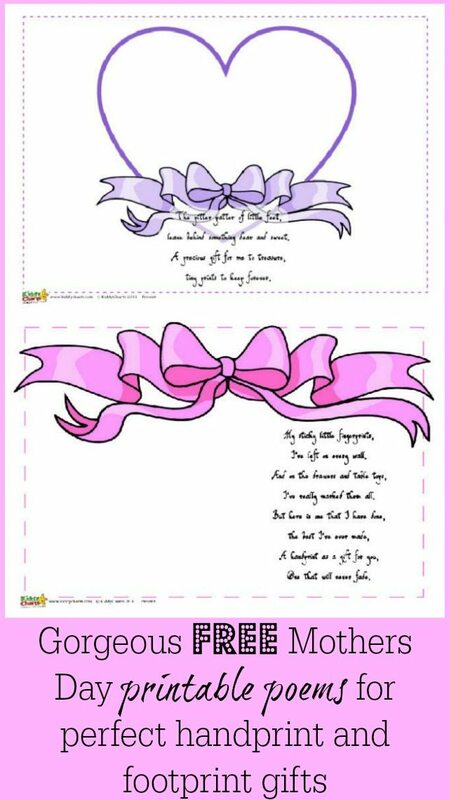 In case you are stuck, we have some printable Mothers Day poems for you, that can be the centrepiece of a hand or footprint craft, which you can then turn into some amazing posters to frame and give to that special lady on the big day. I love hand and footprint craft, and it makes for a wonderful Mothers Day gift; something to really cherish. 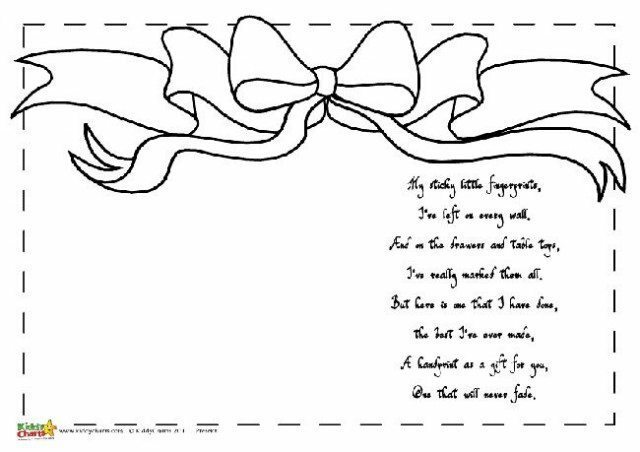 The poems that we have used for these printables are suitable for each, with one Mothers Day poem working well for handprints and the other footprints. leave behind something dear and sweet. Both of these are anonymous poems, and I can’t find the credit for them anyway – so thanks so much to whomever wrote them. 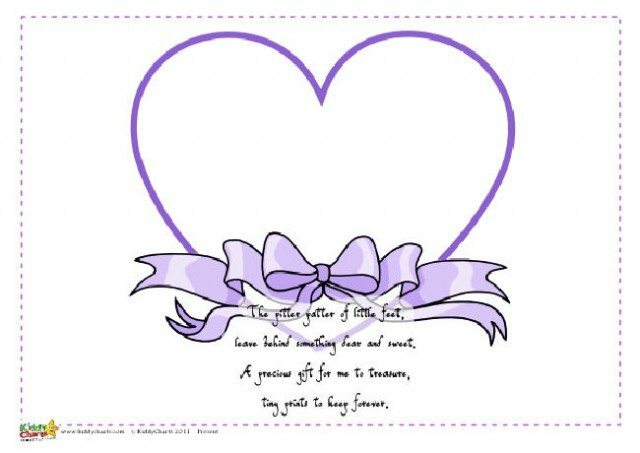 For the footprint Mothers Day poem, why not place the feet in a heart shape within our design to make it all the more gorgeous? As you can see, we do have a black and white revision, so you can colour in as you choose. 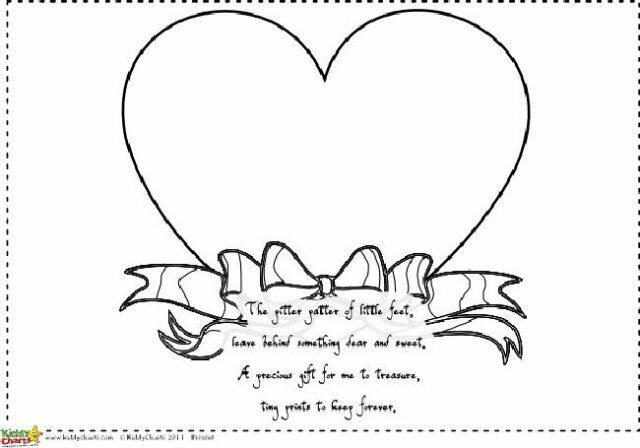 You might also want to mount the printable within a frame, perhaps decorating it with heart stickers, or any other Mothers Day designs that take your fancy. I’ve left on every wall. the best I’ve ever made. One that will never fade. 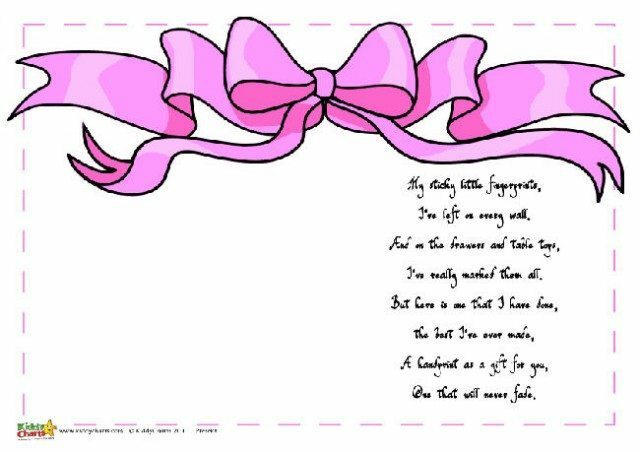 Mothers day gift tags and wrapping paper, along with some Mothers Day message ideas too. If you are still looking for more ideas, then do nip over to our Pinterest board, where we are currently pinning some great activities and craft ideas for Mothers Day too. Finally, don’t forget to subscribe to the blog, so you don’t miss out on our wonderful freebies each week. Come back and see us soon. great thoughts. felt good to read that. Lovely idea for a free Mother’s Day gift for the little one’s to give.